Register Log In ECN Forum Forums Violation Photo Forum Violations, Where to Start? What brought this about? Did somebody do an inspection and have to be carried out, or did one of the residents receive a message from On High that it was time to take action? All the handywork done by "good" church members? 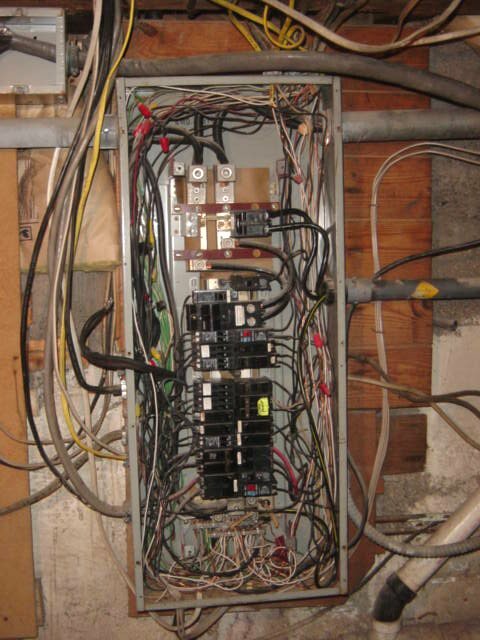 We have all heard about, and seen many times, flying splices. 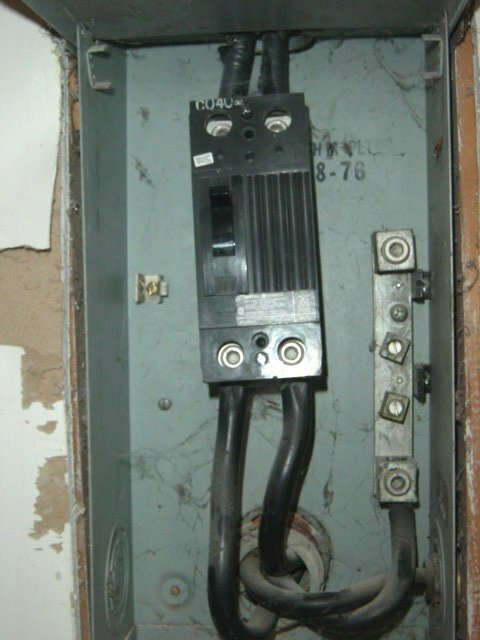 It's been quite a while since I've seen a "Floating Circuit Breaker" like that GE in pic. no. 3. 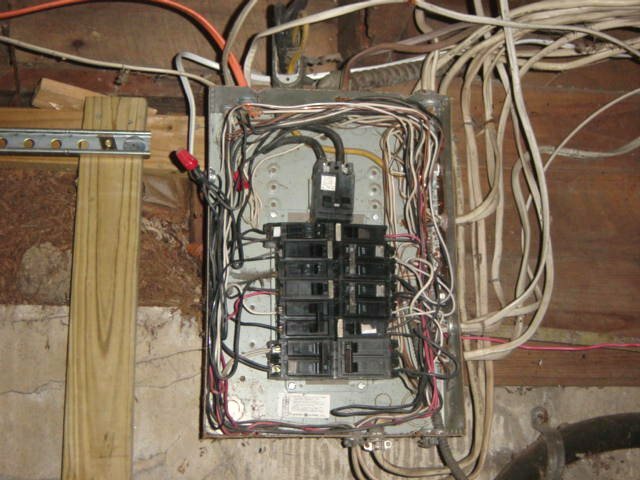 What kind of weird panel is that in pic. no. 5? It kinda looks like some off the wall split-bus job from the strange configuration at the top. Or is this some kind of "locally engineered" panel? I'm impressed by the large black cable about halfway down the left side of the panel that comes out of the wall and presumably hits a couple of circuit breakers. PPPFFFT!! Who needs knockouts anyway if you don't have the panel cover. My, my my. I just can't come up with the words to say. The good news is that I am sure we all can say we have seen worse.